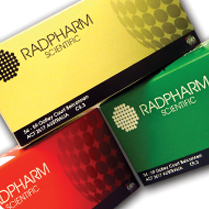 Radpharm distributes cold kits throughout Australia, Asia, South America, Africa and the Middle East. 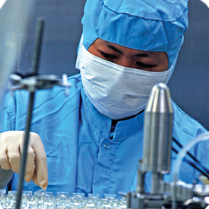 Radpharm can tailor a solution to your requirements. Radpharm holds both TGA and APVMA licences to fill and finish both aseptically processed and terminally sterilised liquid and lyophilised products. Radpharm personnel are experts in their field so for expert advice or longer term consulting read more to see what we can offer. 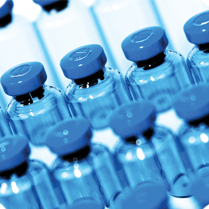 Radpharm’s facility allows for the manufacture of a wide range of sterile empty vials, liquid filled vials and individual sterile components. 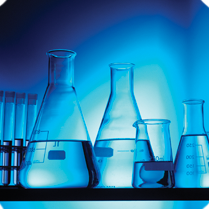 Each vial combination is manufactured under full GMP conditions. Radpharm Scientific, a Division of Global Medical Solutions Australia, is situated in Canberra ACT and commenced business in 1986. Since opening Radpharm has expanded the business to become one of Australia's leading pharmaceutical manufacturing companies. Our flexible facility and dynamic staff allow us to tailor solutions for all of our client's needs.